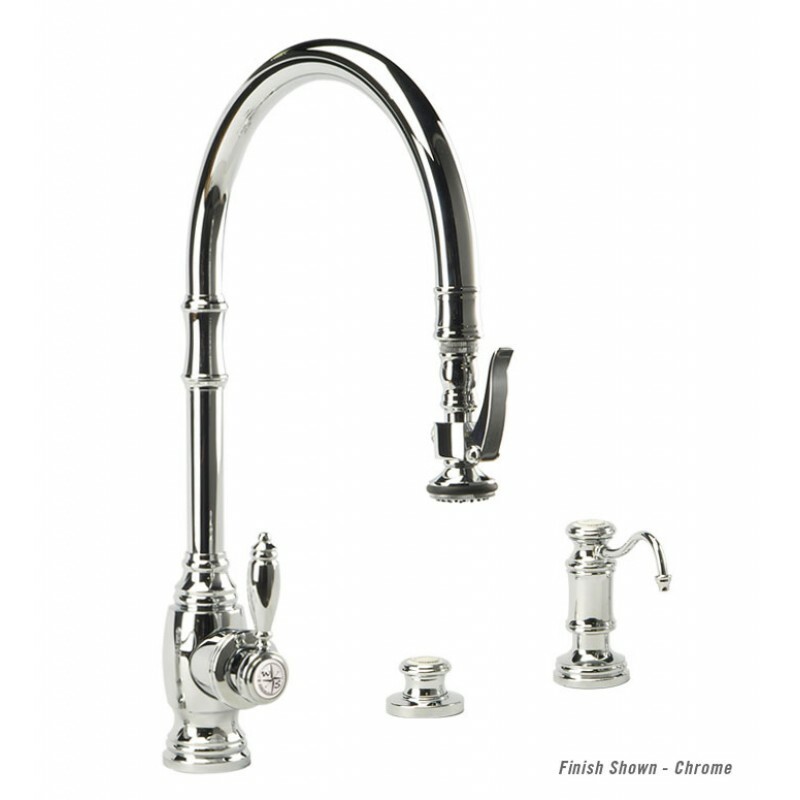 This is easily the most popular faucet we offer. We sell these to about 80% of our custom sink buyers. 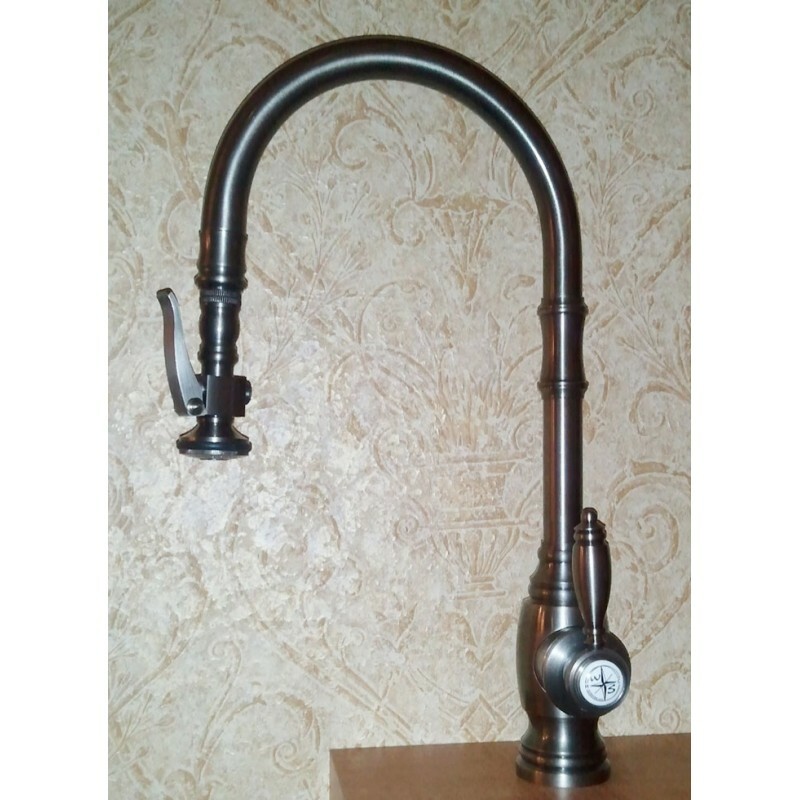 The Traditional Style Pulldown Extended Reach Kitchen Faucet Mini Suite. Unique PLP positive lock holds spray head in place. Spray head extends 18" from spout. Single lever control hot/cold ceramic disk valve cartridge. 21 3/4" x 10 1/8" If you find a lower price "online" by an authorized dealer, call me, I will match the price and offer free shipping! 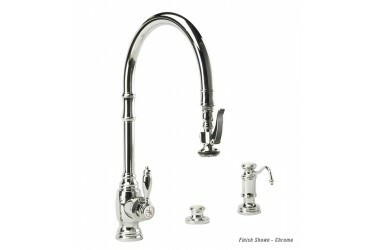 If you are not convinced of the quality of these faucets, see this link. 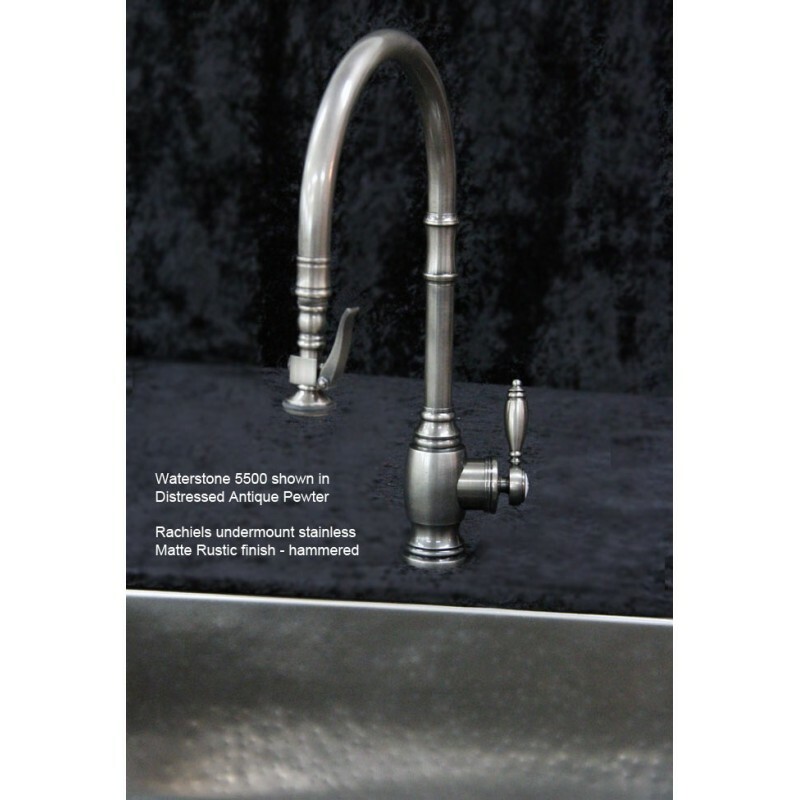 It is the most comprehensive review of all brands of faucets. Waterstone was clearly found to be the finest in the world. We stock this in American Bronze.